In the world of Native Americans, oral communication takes the place of the written word in preserving their most valued texts. By a miracle of transmission, here is the earliest and most complete version of the story of the Cherokee people, from their origins in a land across the great waters to the coming of the white man. In olden times, it was recited at every Great Moon or Cherokee New Year festival so it could be learned by young people. It was set down in English in an Indian Territory newspaper by Cornsilk (the pen-name of William Eubanks) from the Cherokee language recitation of George Sahkiyah (Soggy) Sanders, a fellow Keetoowah Society priest, in 1892. 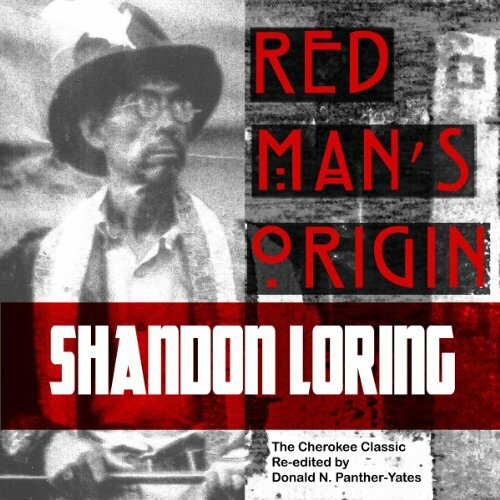 We do not have anything anterior or more authentic than Eubanks and Sanders' "Red Man's Origin". Mystic and plain-spoken at the same time, "Red Man's Origin" tells how the clans became seven in number, reorganized their religion in America and struggled to maintain their "half-sphere temple of light". You will hear in Cornsilk's original words about the true name of the Cherokee people, the totem Uktena serpent, divining crystals of the Urim and Thummin, the terrible Sa-ho-ni clan and other Cherokee storytelling subjects. The brief narrative is here reprinted with an introduction by Cherokee author Donald Panther-Yates. It's a pleasure to hear my fore mother's heritage. They have been afraid to tell it because of who might hear. Thank you.